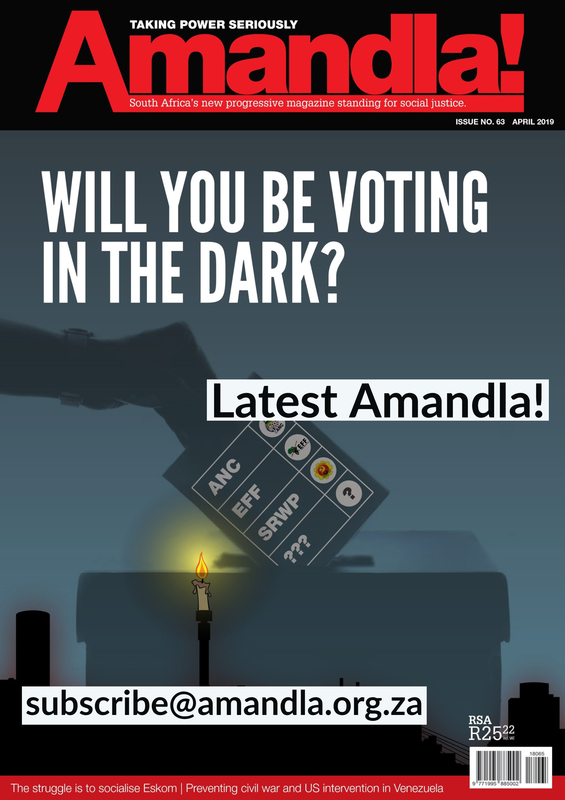 Home › Amandla › Defend our right to strike! 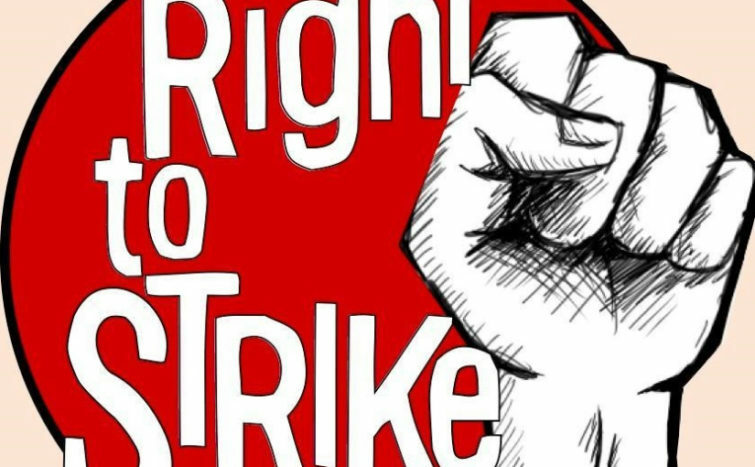 The South African Constitution proclaims that everyone has the right to strike. The entrenchment of this right was bought at a high cost by the majority of working men and women through, amongst others, the use of the strike weapon as a measure of last resort in strikes, protests and pickets in support of improved working conditions and in the parallel fight against apartheid. That collective bargaining and by extension the right to strike is accorded a central role in the Labour Relations Act (LRA) is due to the recognition by our first democratic government of the collective voice of workers in their pursuit of true economic empowerment, social justice and democratisation of the workplace. However, the right to strike, like all other rights in the Bill of Rights, can and has been limited. There are many procedural hoops workers have to go through before they can exercise their right to strike. These include acquiring a certificate that a dispute is unresolved, notice periods before a strike can commence, limitations on solidarity strikes, and even extend to the threat of dismissal due to “operational requirements” if the strike carries on too long. These procedures appear minor but tilt the balance of power in favour of employers. But the public sector workers who perform what is termed “essential services”* are hardest hit. An essential service is defined in the LRA as one when interrupted endangers the life, personal safety or health of the whole or any part of the population. The Parliamentary Service and the South African Police Service are specifically designated essential services. It has long been said that collective bargaining without the right to strike is nothing more than collective begging. This has been and continues to be what municipal and other public service workers in essential services are confronted with. The Labour Relations Act prohibits these workers from striking. Instead they are required to submit any disputes over wages and conditions of service to arbitration. Our experience of statutory arbitration of interest disputes has been an unhappy one. It has been proved that it falls far short of being an adequate substitute for collective bargaining. If the employer parties are concerned, the threat and/or use of strike action is more of a decisive factor in the cost benefit equation. Arbitration holds no fear for employers!! It is hypocritical to deny workers who work in so-called essential services the right to strike when these services can be cut off for non-payment. It is hypocritical because many thousands of South Africans simply do not have access to services like water and electricity because they are too poor to afford these services. The LRA does allow for workers in essential services to enter into what is called minimum service level agreements with their employer. This is meant to ensure that a minimum number of workers remain at work while the rest would be able to go on strike. This system has failed and much of the violence that has characterized strikes in the municipal sector and the broader public sector is because employers frustrate the process of concluding these agreements. 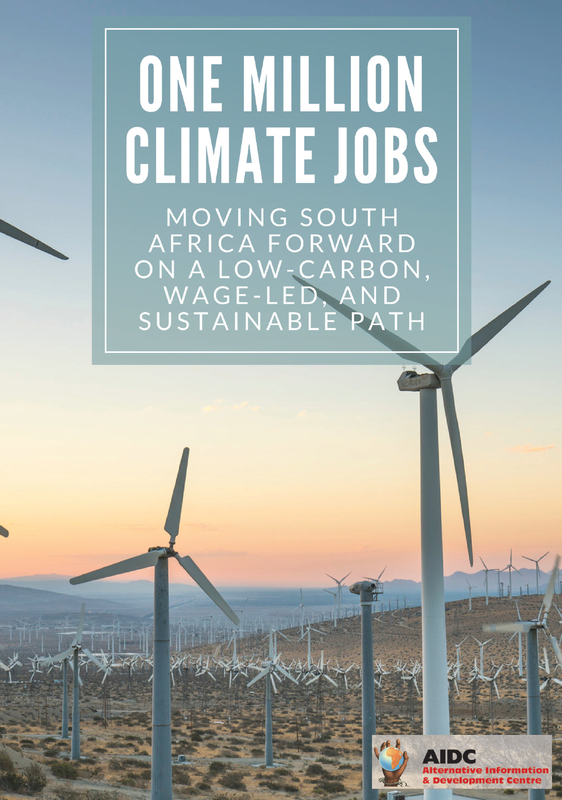 Hopes that this situation would change dramatically have been dashed with the proposed changes to the LRA and other pieces of labour legislation that are currently before Parliament. The proposed amendments retain the prohibition on the right to strike for those engaged in essential services. They, in the main, seek to improve the functioning of what is known as the Essential Services Committee. This committee is responsible for designating essential services and resolving disputes about whether or not a service or job should be declared essential. It is also meant to resolve disputes between workers and employers about minimum service agreements. The committee has, in our view and the view of many independent commentators, failed dismally to deliver on its mandate. So while the proposals are some improvement on the current provisions, they do not go nearly far enough to give real meaning and effect to the right to strike. We are not convinced that the current proposals do enough to strengthen municipals workers’ right to strike and we will continue campaigning in this regard.